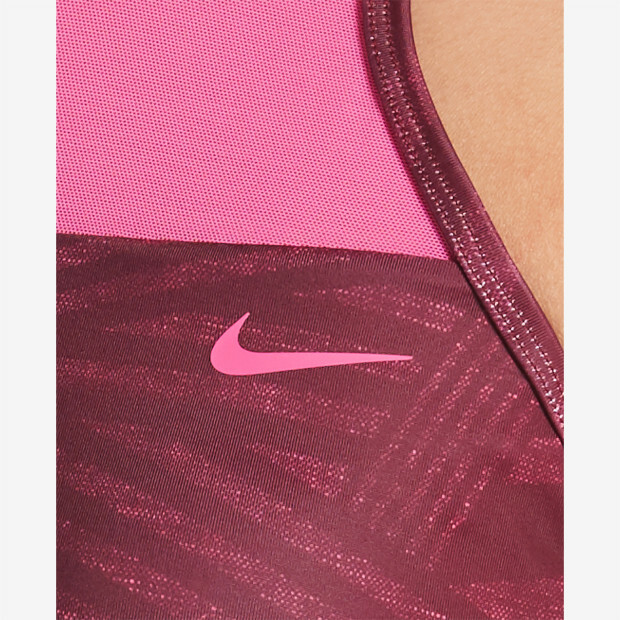 Nike Swim Women's 6:1 Dazzle High Neck Tankini gives you attractive coverage without sacrificing performance. This fully-lined tankini top offers high bust coverage and adjustable straps for a modest design. A full lining and removable soft cups in the chlorine-resistant top provide a secure fit while mesh insets help with water drainage and breathability and add an extra touch of style.